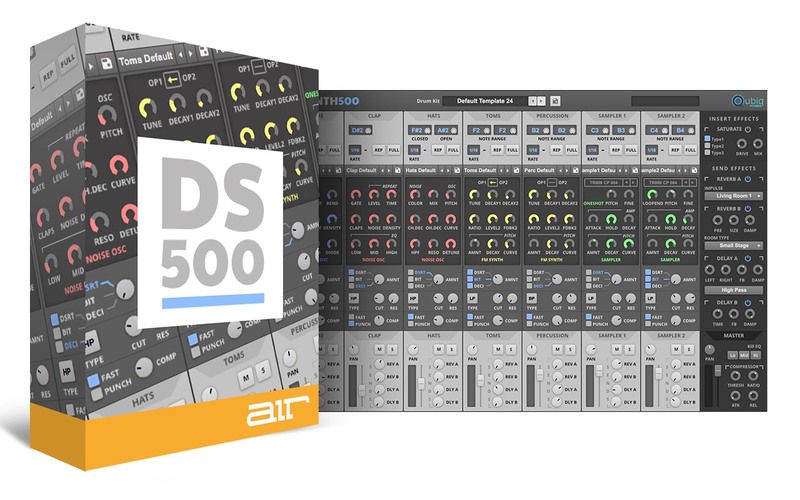 Using a MIDI keyboard, pad controller, electronic drumkit, or the user’s favorite Digital Audio Workstation (DAW) software, Drum Synth 500 brings modern electronic drum sounds into musical productions or live playing. 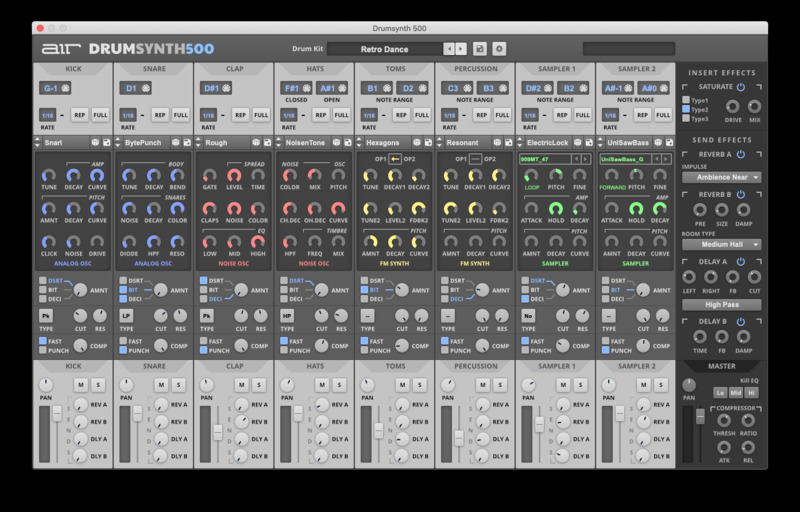 Drum Synth 500 is built on powerful all-new engine for live performance or studio use. For live performance, you can simply fire up our PC or Mac Desktop app and perform with no DAW required for distraction free performance. For studio use, all popular plugin formats are supported. Works with any MIDI keyboard, pad controller or drum kit controller. Two reverb sends and two delay sends per instrument channel. Huge Master channel includes three saturation effects, a convolution reverb, an algorithmic reverb, a stereo delay, a mono delay, a compressor and a unique Kill EQ circuit.